Hat tip to former MauiTime contributor/current Big Island Press Club VP Denise Laitinen for tipping us off to Senate Bill 533. The bill, which is currently in the hands of the Senate Judiciary and Labor Committee, seeks to provide “duly authorized” members of the media access to areas closed by emergency personnel during disasters. It’s under heavy assault from law enforcement and emergency management agencies statewide. 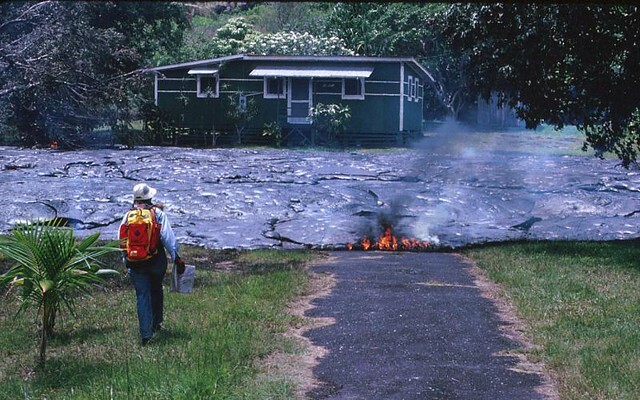 The bill came about to prevent the kinds of harsh restrictions imposed on reporters trying to cover the recent lava flows on the Big Island from happening when other disasters strike. The requirement that this pertain to “duly authorized” media should have comforted law enforcement types, since they’re they one’s who “authorize” local reporters with press passes to cover crime scenes and so forth (the requirements for a pass typically include a criminal background check). But no. Numerous other agencies, including the Honolulu PD and the state Department of Transportation, have lined up in opposition to the bill. Click here for SB 533’s status, bill text and testimony.